The PrimeSight all-in-one video system is designed for efficient and portable high-performance imaging with all PrimeSight video endoscopes and cameras. Easy to use with workflow simplicity features, the PrimeSight video system is ideal in any setting, from the physician’s office to the large hospital network. 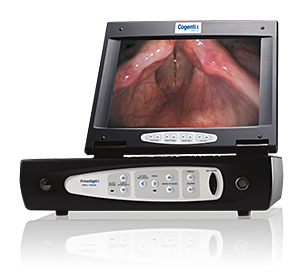 The PrimeSight Video System is used during endoscopy. For your convenience, we’ve assembled reimbursement information for endoscopy procedures. The PrimeSight Video System is used with PrimeSight video endoscopes in urology, bariatric medicine, critical care, gastroenterology, otolaryngology, and pulmonology. Talk to your Territory Manager for more information about how the PrimeSight Endoscopy System enhance the efficiency of endoscopy within your practice.